These personalized Locker Room prints are great for the home or office. Your jersey will be displayed next to three of your team's best current players...and you can personalize the name plate above your jersey! 11" x 14" black frame. 12 character limit including spaces on the jersey and 14 character limit including spaces on the name plate. You can choose the number for the back of your jersey - up to 2 digits. We will contact you immediately with any questions or problems. 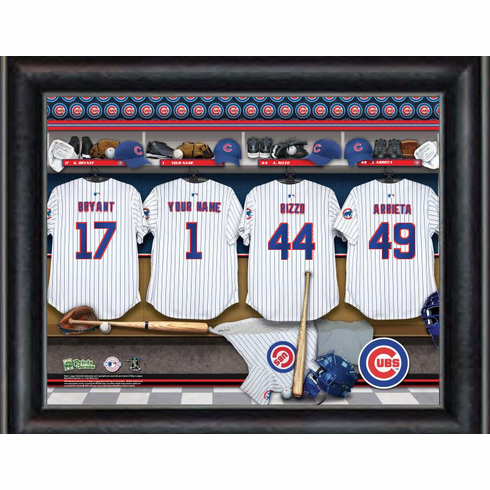 These Locker Room Personalized Prints are available in MLB Baseball NFL Football and NHL Hockey!